For example, the first of January, the most famous of all new year celebrations, is marked each year by elaborate parties, music, food, countdowns till midnight and toasting. And, while Jews around the world celebrate New Year’s Eve and New Year’s Day, there is an awareness that the celebration is not their own. 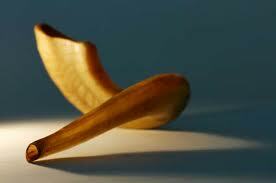 It is, rather, something adopted, separate from the deeply personal and awesome meaning of Rosh Hashanah. Rosh Hashanah is unique because it is both serious and festive. It is a time of spiritual renewal through prayer and deep personal reflection. It is also a time for families and friends to get together, make amends, ask each other’s forgiveness and strive to make the next year better. Most important, it is the recognition of G-d as king and judge over all living things. It is also the realization that our behavior toward G-d and each other, is literally weighed and judged and ultimately sealed for life or death at the close of Yom Kippur, the Day of Atonement.